The pedal power sign is a good size and since I routed it with a 1/8″ ball nose bit with an 80% overlap the two sides took about eight hours each to do. 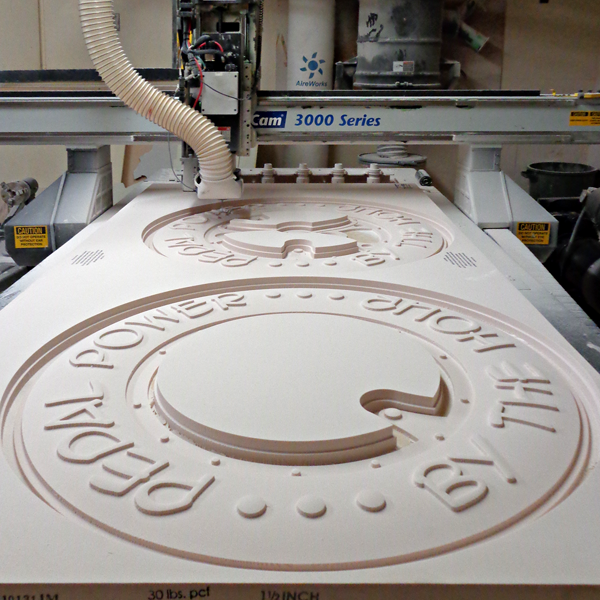 The pieces were cut from 1.5″ thick 30 lb Precision Board. They turned out great! Tomorrow I’ll cut the three half inch thick inner layers and then we’ll be ready to start the final assembly.